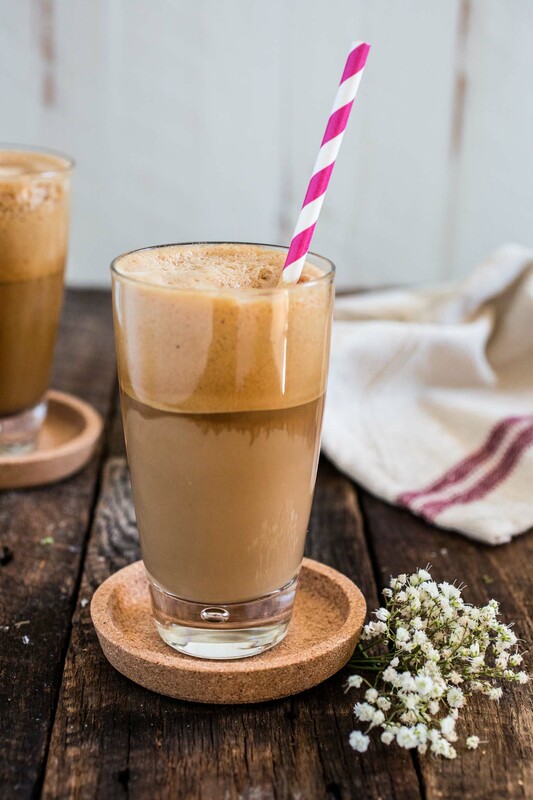 The Frappe is the hallmark of outdoor Greek coffee culture, and is a great caffeinated call for those days when you wanna be spontaneous and break your routine! Ladies and gentleman, I introduce you to the original frappucino! The founding father of the Frappeland. The frothiest of the frothiest. Mister Greek Frappe! ??? And all you need are 3 ingredients. Oh, and no special equipment necessary, other than a cocktail shaker. 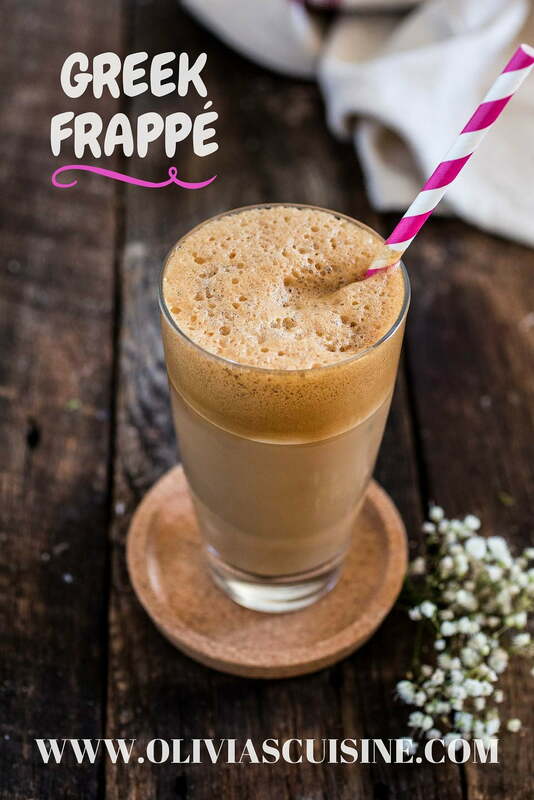 If you’ve been to Greece, or to a Greek cafe, chances are you’ve had the original Frappe. If not, well, I don’t think there’s a single soul who hasn’t tried a Frappucino, which is the modern version of the Frappe! 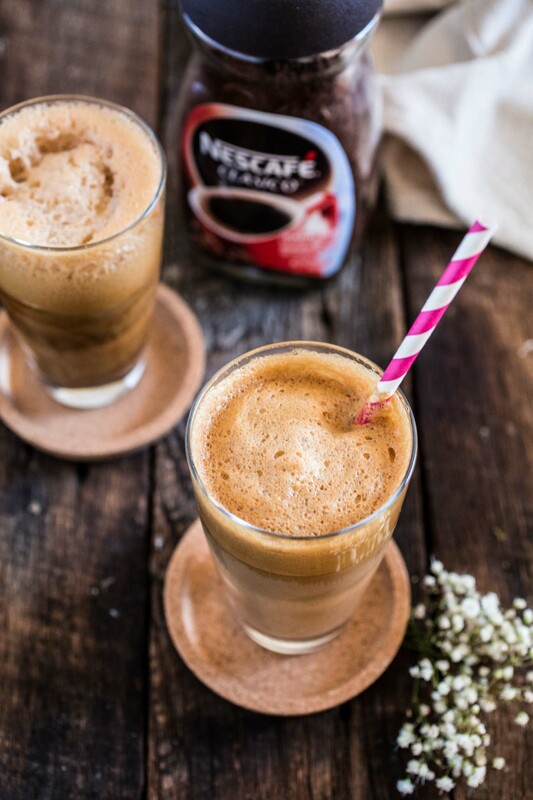 This foamy coffee drink was invented, by accident, by a NESCAFÉ representative named Dimitris Vakondios. It was 1957 at the International Trade Fair in the city of Thessaloniki and Dimitris was working for Nestlé, who was introducing a new chocolate beverage for children that was produced instantly in a shaker. During his break, he wanted to drink his regular Nescafé Classic but couldn’t find any hot water, so he mixed the instant coffee with water in a shaker, creating the first Frappe coffee. While you could try to find the Greek NESCAFÉ for authenticity, I am more than pleased with the NESCAFÉ Clásico that I can easily find at my grocery store. The secret for the best Greek Frappe is instant coffee. The drink can’t be replicated with regular brewed coffee, it has to be instant coffee, better yet if it’s NESCAFÉ! 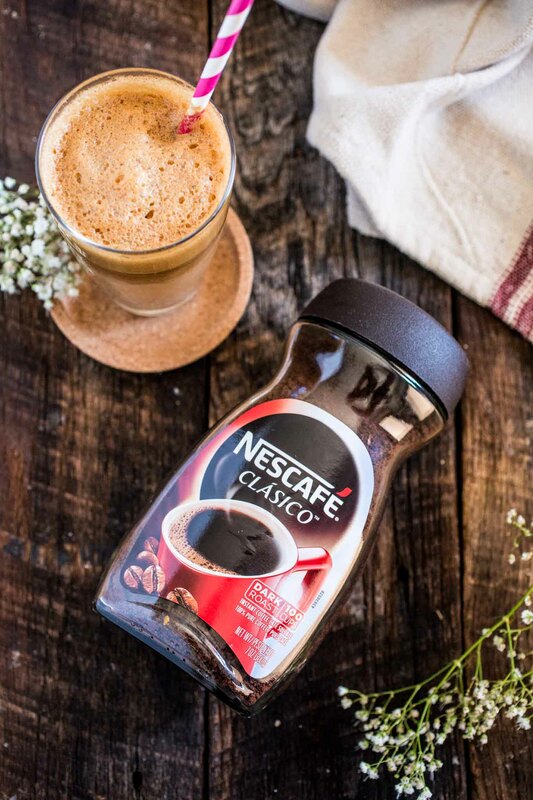 NESCAFÉ Clásico is a soluble coffee made of 100% pure coffee that has been spray dried after being brewed and reaching its flavor peak. Its beans are sourced primarily from key coffee countries in Latin America and is known by its fans for its bold flavor. For me, the best thing is not having to wait to enjoy my coffee. A teaspoon of NESCAFÉ and some hot water and I’m promptly enjoying my cafecito! Or, if I want to be spontaneous and spice things up a bit, all I need is a shaker, some NESCAFÉ, some cold water, sugar, ice and milk for my Greek Frappe. For example, imagine you were waiting for your every day bus and a NESCAFÉ bus pulled over and someone offered you a big surprise and unforgettable experience if you hopped on. Would you go? Would you dare to break your routine? If you answered no, you just missed the opportunity of meeting Ricky Martin! ? Check out how NESCAFÉ rewarded those who dared to break the routine by giving them the surprise of their life here. How fun was that? Get pampered, drink amazing coffee AND meet Ricky Martin? I gotta say, I’m usually a scared cat and would have probably missed that opportunity. This experiment inspired me to try and be more spontaneous, to leave my comfort zone and just “board the bus”. This comes in a very delicate moment of my life, when I just decided to blog full time and quit the job that has made me miserable for the past 5 years. I’ll tell you more about that in a future post, but what I wanna say is that NESCAFÉ’s initiative came in a perfect time for me. It reminds me not to wait for “the right time” or “the perfect opportunity”. Let’s make the right time be today! Let’s create the opportunity tonight! I have goose bumps as I type these words. This message has a very special place in my heart and I hope it inspires you as it inspired me! Thank you, NESCAFÉ, for reminding us that life is too short and we gotta find a way to let go of fear and enjoy it! That being said, being spontaneous doesn’t necessarily mean you have to board a strange bus or quit your job. 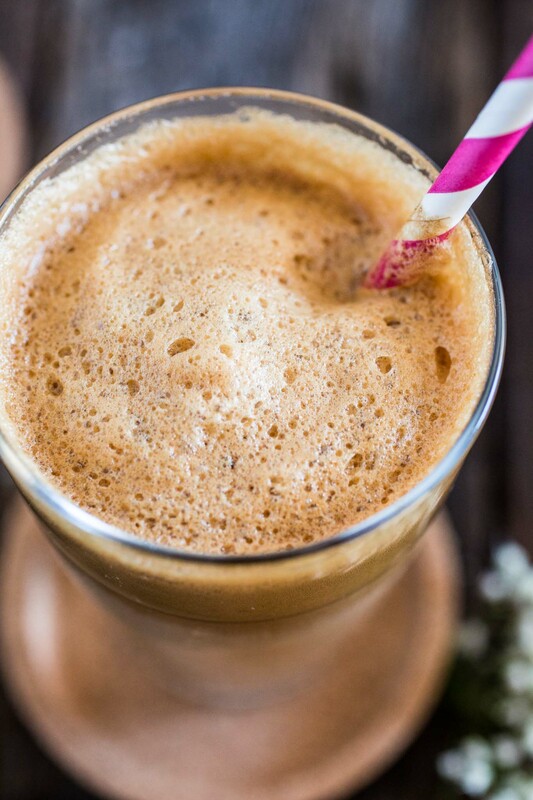 It can be something simple as making a foamy Greek Frappe and taking it to be enjoyed at your neighborhood park after work, on a Wednesday evening. Because why the hell not? ? In a cocktail shaker or jar with a tight-fitting lid, combine the instant coffee, sugar and water. Shake vigorously for 30 seconds, until very foamy. Pour into a glass filled with ice and slowly top off with milk (or cold water). 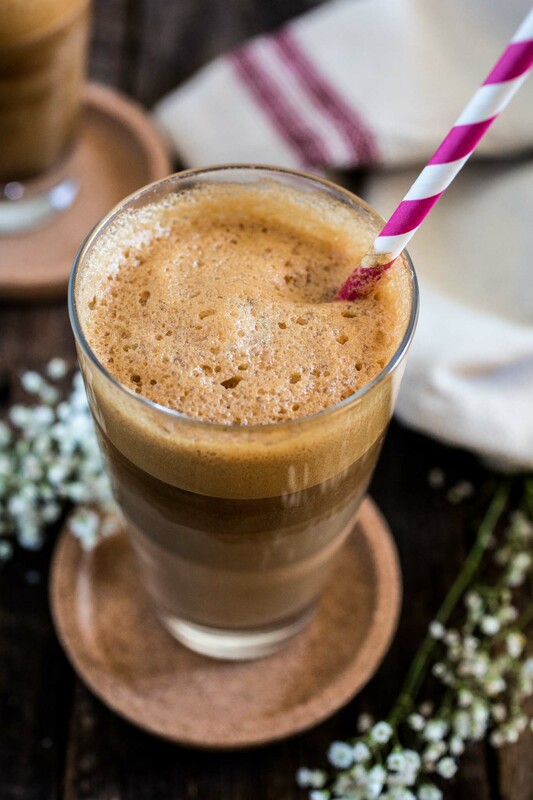 - Greek Frappe is available in three degrees of sweetness, determined by the amount of sugar used. Glykós is sweet and 4 teaspoons of sugar are used, métrios is medium-sweet and 2 teaspoons of sugar are used and skétos is plain and no sugar is used. - You can also make an indulgent version by adding Kahlúa, Baileys or other liqueurss. Some restaurants have the option of adding a ball of vanilla ice cream instead of milk. That is so simple, and your photos make it look delicious. I agree with your sentiment that you need to creat youw own opportunities. Congrats on getting to meet Ricki Martin and the excitement that is coming from your decision to board the “Nescafe Bus:.